The Oft’ Misunderstood Impulse Coupling | Tennessee Aircraft Services, Inc. When I speak at various events, one of my favorite show and tell items is a magneto with an impulse coupling attached. It’s a great visual aid which allows for a very useful demonstration of an ignition system during engine start. More importantly, it demonstrates why a propeller should never be turned by hand in its operating direction if one wants to avoid serious bodily injury. I recently saw a Youtube video from a security camera at an airport showing a guy that hand propped his Cirrus. If you haven’t seen it yet – spoiler alert – yes, the engine started and ran away with the guy frantically trying to get into the cabin to avoid the oncoming catastrophe. The plane traveled a good distance before impacting a nearby hangar and doing very major damage to the airplane in the process. The impact did stop the engine, though, and no one was seriously injured, with the exception of the ego and wallet of the aircraft owner. Of course, none of this would have been possible if it weren’t for that really ingenious bit of engineering inside the magneto called the impulse coupling. There is a false conception among pilots that an engine starts better if the starter turns faster. When equipped with an impulse coupling, there is no need for much rotation speed at all. The impulse coupling retards the spark until after the piston passes top dead center, then spins the magneto fast enough to generate a good spark at the plugs. If the fuel and air inside the cylinder are correct, just casually pulling the prop around is sufficient to ignite the fuel and spin the prop. A typical cruise engine speed is about 2400 RPM (Revolutions Per Minute). At that speed it takes 0.025 seconds (25 milliseconds) to make one revolution. In that 360 degrees of revolution, the best time for the combustion peak pressure to occur is around 20 degrees past when the piston is at top center on compression stroke. The combustion event takes about 0.006 seconds (6 milliseconds) beginning with the spark plug fire. That’s about ¼ of one revolution at 2400 RPM, which means the spark needs to occur sometime before the piston reaches top center. A common magneto timing is 22 degrees before top center putting the maximum combustion pressure near that 20 degrees past top center location, just where it needs to be. Magneto timing doesn’t change during aircraft engine operation as is done on our car gasoline engines. If the engine data plate timing calls for 22 degrees, then that’s what the mechanic sets and that’s where it stays during all modes of engine operation. This means that our aircraft engines only have ideal timing at one engine RPM. This optimal RPM is the maximum red line RPM as shown in the aircraft’s operating handbook. Operation at typical cruise RPM isn’t optimal but works well enough. This fixed timing becomes a problem at idle speeds and especially during the start event. The electric starter might only be turning the engine at 200 RPM, a whopping 0.3 seconds (300 milliseconds) per revolution. At that slow speed the entire combustion event will happen before the piston gets anywhere near top center. If this were allowed to happen, the engine would turn backwards. Certainly not conducive to successful engine starting. What we need is something that can delay the spark till after the piston passes top center but only during the starting process. Enter the impulse coupling. A very ingenious device that halts the magneto’s rotation for about 25 to 30 degrees of crankshaft rotation (depending on the application) but disengages as the engine speed reaches about 375+ RPM. The impulse coupling is beautiful in its simplicity of design. Of course that means only some engineering genius could create such a simple device to satisfy such complicated needs. As best I can tell, the original patent for the impulse coupling was filed April 21, 1942 for W. Ochsenbein. No computers around to analyze the data or to produce 3D images for testing. Just brain power and great imaginations. I’m very impressed. 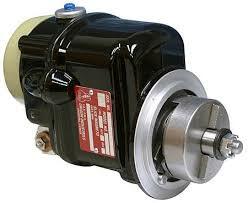 The impulse coupling mounts between the magneto and the engine, allowing it to control when the magneto rotates. The coupling has a couple of spring loaded flyweights that catch on a post built into the case of the magneto. At very low speeds the flyweights catch on the post and halt the magneto’s rotation for that 25 to 30 degrees (lag angle) we mentioned earlier. At the same time it winds up the coupling’s internal spring. 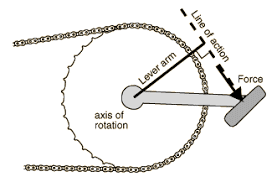 When the rotation gets to the end of the lag angle, a flange on the coupling knocks the flyweights off the posts, and the spring suddenly releases its energy and spins the magneto. Magnetos at their core are just a generator and need good engine speed to generate a usable spark. 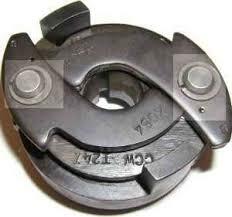 The heavy duty spring creates this sudden high rotation speed in the magneto. This is all great for intentional engine starting. The problem is that the impulse coupling engages any time the engine turns at an appropriately slow speed, even if the intent is not to start the engine. Anything that rotates the engine in its running direction will engage the impulse coupling. The only thing that inhibits a spark is the P lead which electrically grounds the magneto through the ignition switch. This grounding is just like on those old lawn mowers that you would shut off by using your foot to push a metal tab to the top of the spark plug. The very real danger is that the P lead might be broken, have a loose connection, or any number of other faulty situations that remove the operation inhibiting ground from the magneto. Just pulling the propeller a small amount to give clearance for the tow bar is enough to trigger the impulse coupling. You’ve probably heard that “snap” sound from your engine at some point when you turned a prop. The motivation for this article is to help you understand why you should never do anything to hear that snap again. As a seventeen year old working in Dad’s shop, I was assigned to measure the run out of an engine’s crankshaft flange. The engine was from a plane we had recovered for an insurance company about a month before. The engine was sitting on the shop floor with the top spark plugs removed so I could more easily rotate the crankshaft. Since the engine wasn’t on the aircraft, the magneto P leads were obviously not attached. Absent the grounds from the P leads the mags were “hot”. As I rotated the engine I heard the snap of the impulse coupling. At that same time I saw and felt the long jet of flame shoot out of the #1 cylinder empty spark plug boss and burn a hole in my shirt. Even at that young age, I figured out the effectiveness and dangers of the impulse coupling. If spark plugs are installed, the magneto is not grounded, and the impulse coupling snaps, there will be a sudden and violent rotation of the prop. It may fire just the one cylinder but possibly two or three. This very dangerous event happens several times per year, and the injuries can be significant. Consider possible damage to the plane, hangar, other property, or personal injury . A good day is just a broken wrist. A not so good day results in nine staples in the back of one’s head and a terrible headache. We don’t need to imagine what a bad day looks like. You’ve probably heard that turning the engine backwards might damage the pneumatic pump. This is an incredibly remote possibility. If it does, then you should be thankful that it failed on the ground. If it was in such bad shape that it would fail from turning backwards by hand, it was almost certain to fail during the next flight. I have a show and tell vacuum pump that I’ve been spinning backwards for years and it hasn’t failed yet. Turning the engine backwards by hand will not harm the engine or engage the impulse coupling. Most importantly, it won’t do any harm to you. Flight safety isn’t just about what is done while flying. It includes flight planning, weather, preflight, maintenance, fueling, ground handling and everything about the event. An airplane is a complicated machine with a big spinning blade on the front that demands respect. My lesson learned, and now presented to you, is to avoid turning the prop. But if you must, please only turn it backwards. Thanks Paul! As usual, this is a great article. Even after many years of turning wrenches and inspecting airplanes, I still love to learn from great people like you… keep up the good work! Thanks Dean. That’s a significant compliment coming from someone of your caliber.